Hot tub water care is easy! You just have to follow a few simple rules. Don't use too much product. 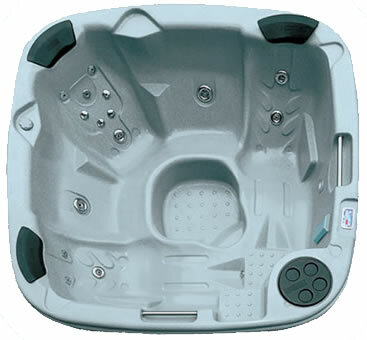 In hot tubs a little goes a long way and it's very easy to over do it with jacuzzi chemicals. You can easily end up with way too much sanitizer (which can only be rectified by emptying out some water and topping up with fresh water) or in a never ending loop of adding pH Up, followed by pH Down, followed by more pH Up, followed by more pH Down.....! Water balancers take several hours to take effect so give them a chance work. Hot tubs need santiizer - so test it. As long as you have sufficient sanitizer (according to your chosen water care regime) your hot tub will be safe to use, if you haven't it won't be! Balance the water - but don't get too hung up on it. The point of balancing the water is to make the sanitizer work as efficiently and effectively as possible, and also to make sure that the water isn't too acidic because if it is it could cause damage. So you do need to balance the water, but it doesn't have to be an exact science. If it's about right, it's OK! Hot tubs need shock - so use it. It might sound unpalatable, but you will perspire when you are in your hot tub and that perspiration will remain in the water, along with other dissolved products such as hair gel, deoderant, make-up, fake tan and anything else that you use, until you use a shock product to get rid of it. If you don't use a shock the water will dull and start foaming, but anti-foam isn't the answer! Don't use too much anti-foam! Anti-foam should be a last resort (only after you have properly shocked the water and given the shock time to work) because too much anti-foam ruins the look and feel of the water. It's OK to use a bit occassionally to deal with an emergency, but if you are constantly having to add anti-foam it's probably time for a water change. Water clarifiers work wonders! If your water is just looking a lttle off-colour a dose of clarifier is probably the answer. Clean your filters. Hot tub filters need to be cleaned regularly using a non-foaming filter cleaner. Powdered cleaners are best because they remove limescale as well as grease. Poor water quality is almost always due to poor filtration. Now relax and enjoy your hot tub!